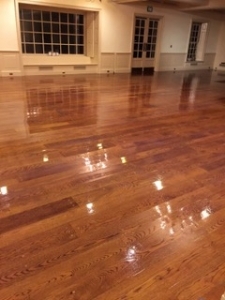 Professional Commercial Cleaning of Dover and New Castle, New Hampshire is a company that you can trust to provide your business with maintenance services. 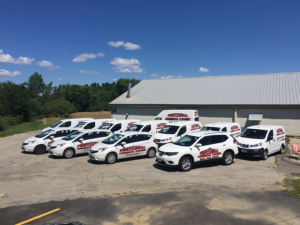 Our valued, local businesses are important to us, which is why we have a fleet of vehicles waiting to send out our experienced professionals right to your location. We work to provide you with exceptional customer service and specialize in janitorial, commercial, and carpet cleaning services. Not only do office spaces and buildings benefit from our services, we service a large array of businesses and municipal facilities. We’ve serviced and currently service banks, churches, medical offices and buildings, restaurants, and industrial spaces. When it comes to the finished result, we take pride in knowing that we’ve done a thorough job at a time that works for you, not the other way around. Give us a call and we’ll talk with you about your schedule, how you’ll benefit, and discuss an affordable price that works with the services you require. It pays off to have your business cleaned by the right company, with the right training, and the best equipment. We can assure you that your search for a janitorial cleaning service is over, but we understand you might still be hesitant. When you are looking for a company, you want to be sure you have hired the right one that pays just as much attention to detail as you do. We quality control check our work and are an eco-friendly company. This industry is a competitive one, so we understand that the company you are looking to hire must have a great reputation and come highly recommended. Companies like ours are hard to find, but in the eastern New Hampshire, seacoast area, we are the top choice. Our comprehensive list of services includes vacuuming of all entryways and carpeted surfaces. Tile floors are mopped and waxed. Desks, bathroom counters and sinks are cleaned and sanitized. Windows and mirrors are cleaned. Sweeping and emptying trash are all included and this is not even the complete list! You will be challenged to find janitorial cleaning that matches that of Professional Commercial Cleaning located at 4 Progress Drive near New Castle in Dover, New Hampshire. Call 603-743-3930 for an appointment and office cleaning will be a worry of the past. Our team is available to perform carpet cleaning for your company. We perform an in-depth walk-through of each job site and look to completely understand your needs. 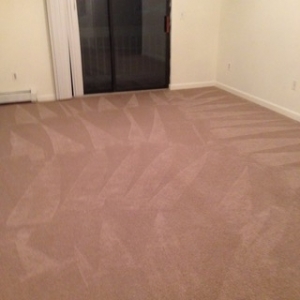 We look to determine the kind of service and the frequency that your carpets need to be cleaned. Because we work hard to understand our clients needs as well as their business needs, we will make sure there is no pause in your work day due to our team. We power vacuum, sanitize, and spot clean where necessary. Our team is committed to providing exceptional customer service and are here to answer your questions. It is vital to your company that your work environment is safe and healthy. It will reduce accident liability. You will be keeping your own employees (and even customers) safe and happy in a comfortable work space. Happy employees means they are productive! Professional Commercial Cleaning will help you reach these goals. We want to be the company you call when your business needs professional janitorial and commercial cleaning. Contact us today to find out more about why our cleaning company is the best choice for your maintenance needs. We proudly serve customers in Portsmouth, New Hampshire, as well as the surrounding areas.